Winter is long behind us and the roads are open, so it must be time for 4WD enthusiasts to pull out the jerry cans and get ready to explore the best of Victoria! Wondering where to 4WD in Victoria? 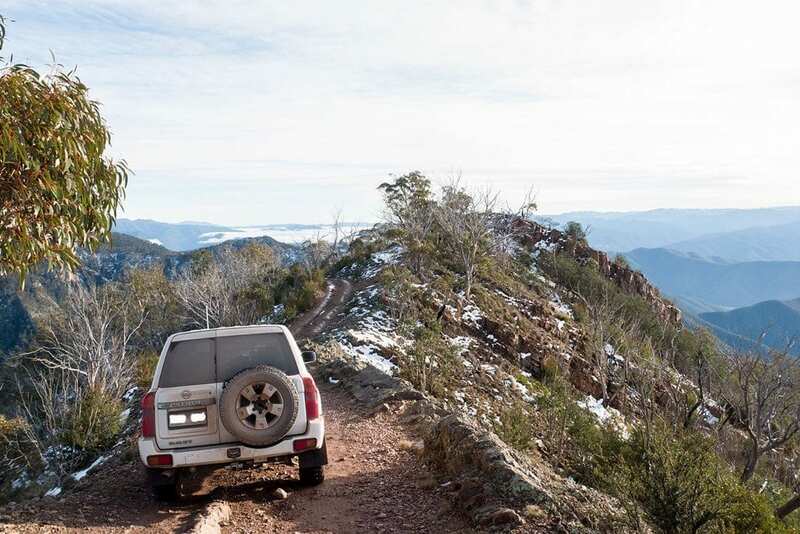 The Victorian High Country has thousands of kilometres of 4WD tracks, combining all kinds of terrains and difficulty. 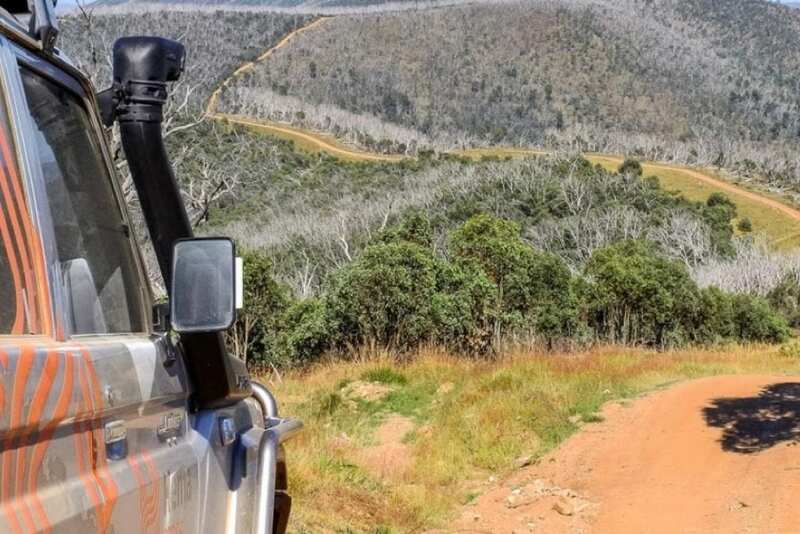 Experienced offroaders know that there’s always something new to find in this legendary destination, with some of Victoria’s best 4WD tracks on offer. So let’s have a look at 4 of the best Victorian High Country 4WD tracks. Grading: Easy/Medium. Low range and high clearance. Ideal for: Fishing, swimming and incredible sweeping views of the Great Dividing Range. Terrible by name, spectacular by nature! This easy-to-medium half-day drive offers a range of views and terrains, starting off steady but soon gaining elevation through several steeper passes. 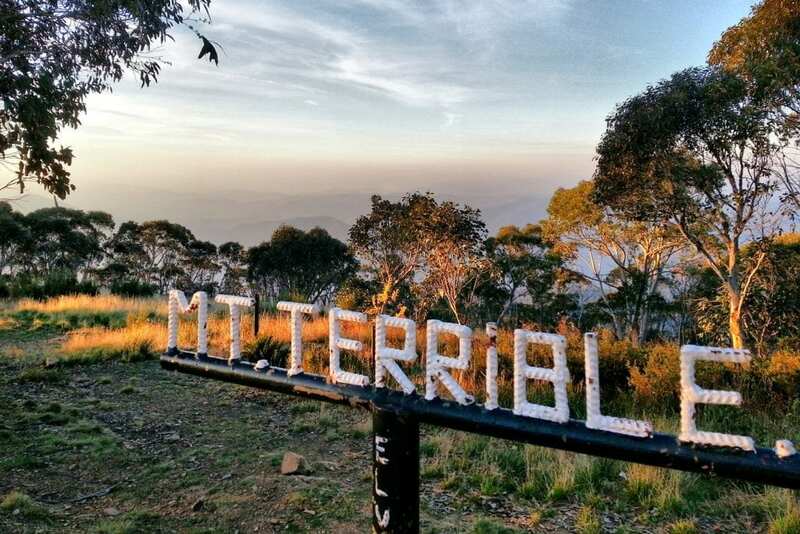 This is one of the best 4WD treks close to Melbourne, and while there are some tricky spots, the Mount Terrible Track offers several easier options for those newer to the 4WD game. 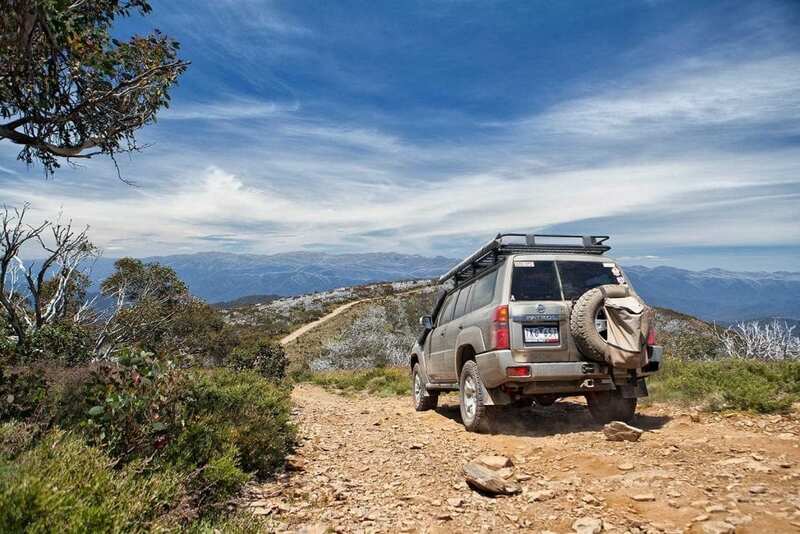 The Ryan Spur Track through to Frenchmans Gap Track offers some great 4WD action, and the peak of Mount Terrible itself reveals uninterrupted views of the expansive Great Dividing Range. Extend your day at the confluence of the Goulburn and Jamieson rivers – it’s a great stop for trout fishing and even swimming on warmer days. Do your homework and find some of the best 4WD campsites in the area to make a great weekend of it! Grading: Difficult. Low range and high clearance. The Blue Rag Range Track is one of the Victorian High Country’s most iconic tracks and the ultimate in off-road adventuring. 360-degree views at the summit (at over 1700m above sea level) are the reward for some very daunting moments as the track follows the ridgetop with precarious edges on either side. Rough, rocky and steep climbs require deep concentration and skill, but the view makes this all well worth the effort. Enjoy the beauty of wildflowers in the Spring and Summer months. Make sure you check out Bright and surrounds, where you’ll find great food, drink, entertainment and plenty of 4WD campsites. Ideal for: Bushwalking, panoramic views and ‘Man From Snowy River’ scenery. 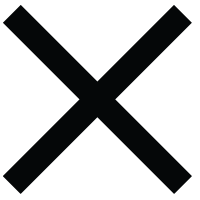 The drive from Benambra is ideally taken in dry conditions, as the steep descent into the camping areas at Tom Groggin can be a slip hazard in the rain. This is a comfortable one-day journey, but is best enjoyed with a camping stay at one of the 4WD campsites along the way. Buenba Flat, featuring Dogmans Hut, is a great spot to enjoy the origin of the Man from Snowy River legend. A number of walking tracks begin from the camping area and are a great way to experience this spectacular country. It’s said that the stockman who inspired Banjo Patterson’s famous poem lived at Tom Groggin Station in the early 1900s. Keep an eye out for brumbies! Ideal for: Steep terrain, breathtaking views and gorgeous wildflowers. This epic drive is not for the inexperienced or faint-hearted! Featuring some of the steepest terrain Victoria has to offer, the Billy Goat Bluff track takes you through the heart of the Pinnacles State Forest, where a short detour to the Pinnacles Fire Tower grants you panoramic views you won’t forget in a hurry. With a 1200 metre ascent over just 7 kilometres, this a difficult, full-day drive, but if you’ve got experience under your belt, you’ll soon be rewarded with some of the best of Victoria. Which Victorian 4WD track tops your list? What’s your ideal four-wheel drive adventure? Share your dream trek with us on our Facebook page and tell us all about your adventures next time you’re in for a service. Can I have my car serviced at an independent workshop without voiding my dealership warranty? What are the most important things to check on your car frequently?